As part of our Fresh Radio Podcast Series (now available on iTunes here) myself & Ian Smith visited Rudding Park near Harrogate to meet up with Stephanie Moon for a spot of Wild Food Foraging. Stephanie the acclaimed Yorkshire Chef and local lass, a Farmers daughter from Tosside who trained at Craven College in Skipton then went on to ply her trade with Anton Mossiman at The Dorchester before returning to Coniston Hall and then Rudding Park. 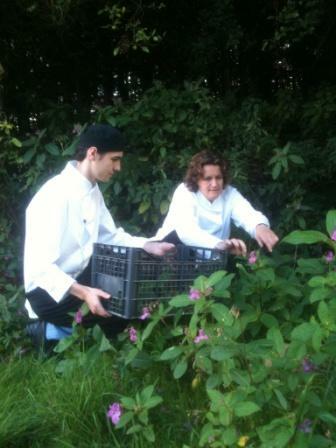 Stephanie was full of enthusiasm for local food and loves foraging for the seasonal wild food available on her doorstep in the splendid grounds of Rudding Park Hotel & Golf Club. Stephanie took us on a tour of the grounds & golf course at Rudding park, we whizzed around in golf buggies stopping now and again to forage for all manner of edible goodies. Possibly the poshest foraging I have ever done! 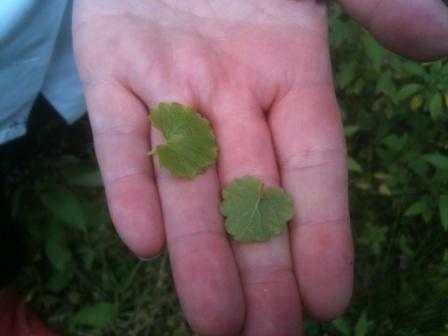 We collected all kinds of wild food bounty including Nettles, Wood Sorrell, Aleshoof, Blackberries, Hazelnuts and Sloes. similar to clover but with a folded appearance to the leaves and with reddish brown stems, a slightly sour, citrus taste like the first bite of a green apple. Aleshoof so called as Stephanie explained as it was used by the monks in brewing to flavour and clarify the beer before being superseded by hops. We also spotted some Hazelnuts and Blackthorn Sloes. 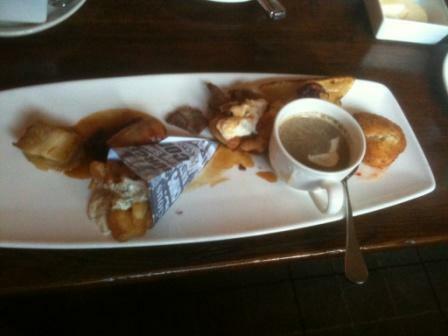 After all our foraging we retired to the bar for a coffee and Stephanie suggested we try the Yorkshire Tapas. A fantastic plate of miniature bite size dishes including mushroom soup in an espresso cup, fish & chips with tartare in newspaper, Whitby crab fishcake, bangers & mash with onion marmalade but the mash was piped into the sliced open sausage, Yorkshire cheese rarebit and Roast Beef in a mini Yorkshire pudding and belly pork with Apple sauce, all were delicious and a fantastic Yorkshire Dish. 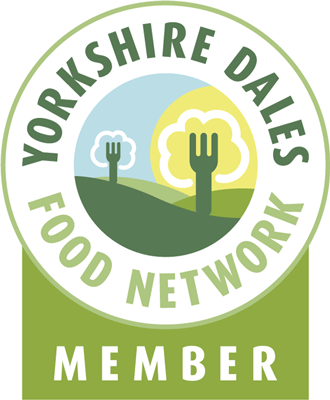 This entry was posted in blogs, chefs, Food, Foraging, Sausages, Wild Food, Yorkshire, Yorkshire Dales Food and tagged Aleshoof, Blackberries, fresh radio, hazelnut, Nettles, Rudding Park, Sloes, Stepahine Moon, Wild Food, Wild Foraging, Wild Sorrell. Bookmark the permalink.